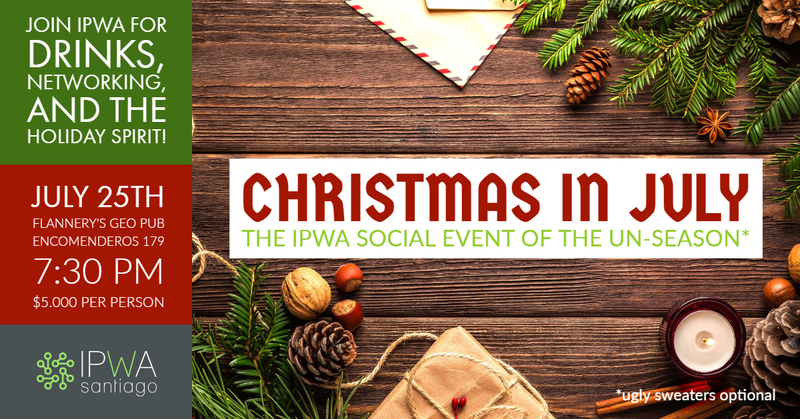 On July 25th, IPWA celebrated Christmas early with a Christmas in July themed networking and social event held at Flannery’s Geo Pub. 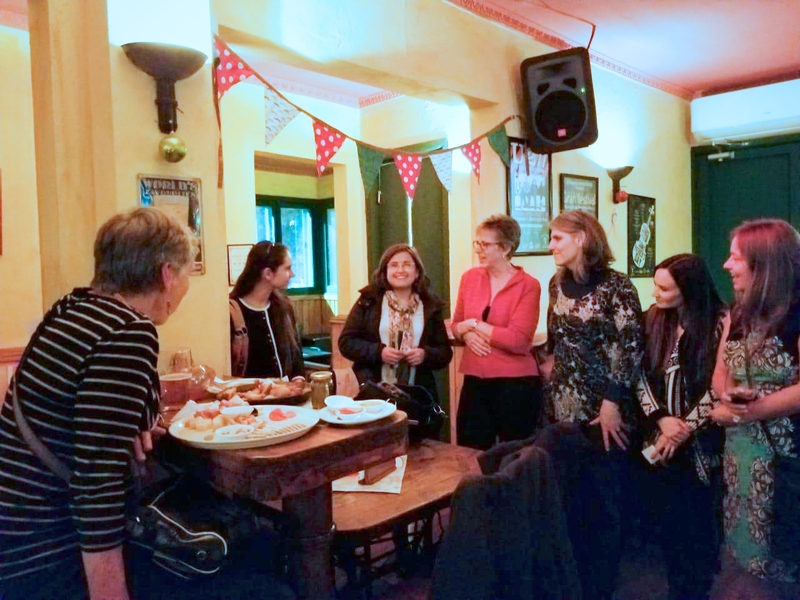 Turnout was excellent with lots of new faces joining in the merriment. Lauren Brown, IPWA Events Co-Coordinator, led the group in introductions and also invited the group to share a favorite Christmas memory. Considering the varied geographical background of our members, many memories included the snowy Christmas mornings of the northern hemisphere, while others remember a southern hemisphere Christmas, complete with palm trees. 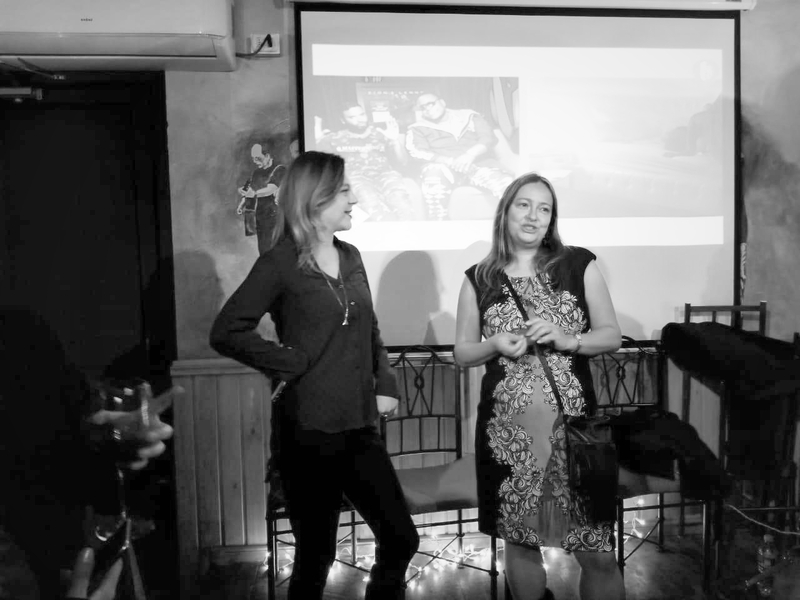 The event lasted until 11:00 PM, with many new connections made and friendships forged. From the decorations, to the Christmas music, and festive holiday attire, the Christmas spirit really was all around in July. 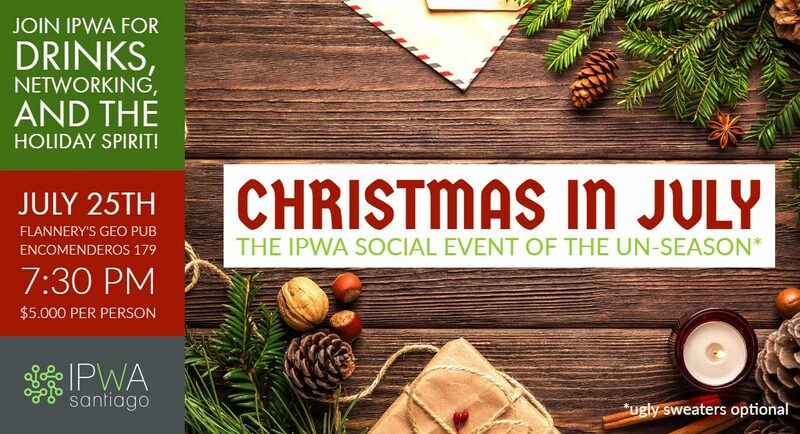 IPWA is already looking forward to December and our next Holiday event! © 2018 - IPWA Santiago. All Rights Reserved.